How Much Tax Do You Pay On a Used Car in Canadian Provinces? In most cases when anybody is buying anything, they want to know they how much the tax is going to be. It is no different when it comes to buying a used car. Throughout the different provinces in Canada, there are different rules and regulations. When it comes to the Provincial tax aspects, these apply to the provinces. Federal tax is Canada wide. Individuals want to know what their tax implications are going to be on their used car purchase. As it pertains to the province that they purchased it in. 1 Do I Pay Tax on a Used Car? 2 Do I Have to Pay Tax on a Used Car From a Private Seller? 6 Is There HST on Used Cars In Ontario? Do I Pay Tax on a Used Car? The first question that will arise is if there is going to be a tax on the used vehicle purchase. The answer to this in most cases would be yes. Where it will differ is the way the sale takes place. For example, was it a private sale or done through a dealership? Then it will also differ according to the provinces. When selling a used car, the taxes applied to it are transfer taxes. Do I Have to Pay Tax on a Used Car From a Private Seller? In the past, there was a lot of dissension about tax applying to private sales. Over time rules came into place to govern this. When it comes to the private sales, the tax implication is different. Federal taxes have no bearing on this such as the HST. It will depend on the provincial tax regulations to what kind of tax is owing. Most of the provinces will have some regulations about this. There is still ongoing contention about the taxes. It respects to a private sale of a vehicle. The argument is that the vehicle could go on a sale several times. Each time there is a tax levied against it. The tax owed is determined by the province. But in most cases, it’s on the full sale price of the vehicle. 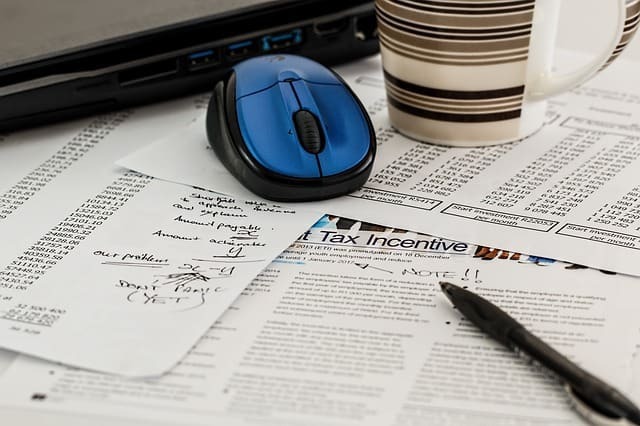 Some individuals want to try and avoid paying the full amount of the tax that they have to pay. They may try and get the seller to give them a receipt for a lesser amount. Indicating they have paid less. The Ministry is aware of this practice. Many are familiar with the Kelly Blue Book. Its comparison for Canada is the Canadian Red Book. These books list the value of what a particular car is worth. The Ministry is aware of these resources. They may question the sale price compared to the information given about the vehicle. If they do, it could create a real hassle. They could ask for an appraisal of the vehicle. It would mean an added expense for the car buyer. If the appraisal didn’t match the sale price, the Ministry could use the appraisal value. When buying a used car privately, it is important to know that there will be taxes applicable. But these taxes are not paid to the seller. The tax owed is due at the time that the transfer of the vehicle registration. As a rule, the amount of taxes will be 13%. If the transaction has taken place in Ontario. It can be difficult determining what the actual cost will be. The amount is applied to the sale price for the vehicle. But the wholesale value of the vehicle is taken into account. Whichever of these produces the greatest value of the vehicle is the amount that is taxed. There are cases where individuals are buying vehicles that are over 20 years old. There are more rules for determining the tax. It means that these vehicles will have to have an appraisal. It is something that those who are buying vintage or antique vehicles may have to deal with. In BC the rules when buying a car privately are similar. The difference is that it is a 12% rate. Is There HST on Used Cars In Ontario? Buyers of used cars also have to consider the taxes owed when buying a vehicle from a dealer. Again the rules and the amounts can vary among the different provinces. Paying the HST on a new car is straightforward when it comes to Ontario. The rate is set at 13% of what is showing on the sale invoice. For the used cars the calculations are different. The HST is a Federal Tax, so the rules about them are Canada wide. But there may be variations in the rules according to the province. Plus the amount will depend on other factors. The tax can depend on the registration date. There are specific rules for registration and delivery dates. The rates will depend on the provinces. For those that are looking to save money on the sale of a used car, a trade-in may be a better option. Even though you are selling the vehicle to the dealer, it is different. The value of the used car goes towards reducing the amount owed on the new car. It’s deducted from the sale price of the new vehicle. It helps to reduce the amount of tax paid on the new vehicle. Those that do this can enjoy the savings of the reduced taxes. Taxes of any kind can be complex. It has to be accepted that some form of tax will need to be paid. Also, It is not a wise idea to play with the actual sale price of the vehicle. Plus, It could end up costing more money than one counted on. The tax laws are always changing. It is important that one reviews these at the time they are going to make a sale. It is applicable to both private sales and those done through a dealership. Consider the tax implications when you are buying a vehicle. Keep in mind that the ministry will be well informed about the values of vehicles.